A warm tropical climate, an abundance of white sand beaches and diverse natural scenery make the Hawaiian Islands a popular travel destination. Covering the eight main islands in their entirety, National Geographic's Hawai'i Adventure Map was designed with the functionality to serve the needs of adventure travelers. With hundreds of diverse natural and man-made destinations pinpointed, the map delivers unparalleled content, not readily available on traditional road maps. The state's highways and main road network is shown with mileage markers. Smaller roads and interisland ferry routes are also mapped to help you get off the beaten path. The location of cities and towns is listed in a user-friendly index. The Islands' most popular hotspots, like Hawai'i Volcanoes National Park, the USS Arizona Memorial, Haleakala National Park, Pu'uhonua o Honaunau National Historical Park, Hanauma Bay Nature Preserve and Waimea Canyon are all marked on the map, as are many hidden gems. Other recreational historical and cultural features include hiking trails, beaches, surfing areas, archeological sites, zoos, golf courses, caves, springs, campsites and scenic viewpoints. The boundaries of National Parks, Conservation Areas, Natural Reserves and Wildlife Refuges are all clearly marked. With such a wealth of content, the map is an ideal complement to National Geographic's Hawaii Traveler's Guide or any other guidebook to the area. Sheet Size = 34.75" x 22.75"
A comprehensive guide to this beautiful island! 14" x 21" folded to a handy 4" x 7". Waterproof and rip-resistant! Side one shows the entire island of Kauai on a detailed dramatic relief map. Hypsometric tinting employs colors to visualize land heights and water depths. Guide text describes outdoor recreation opportunities, golf courses, points of interest and more. Side two shows close-ups of Kauai's North Shore, East Shore, South Shore, and the Na Pali Coast & Koke'e Hiking. 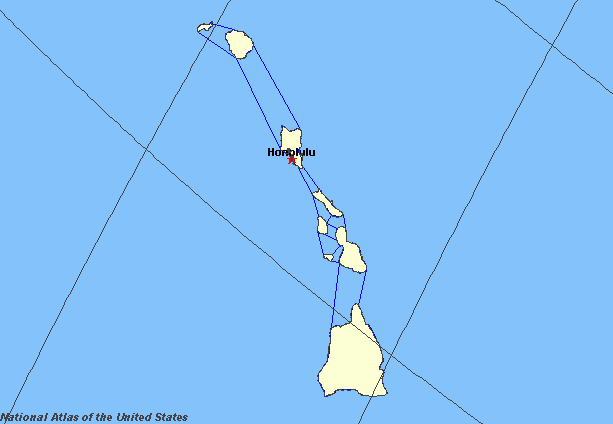 Also featured is a map showing Kauai and the island of Ni'ihau, with information about Ni'ihau. Look at our images to understand the detail and beauty of this map. Maui Adventure Guide Map - Detailed, Waterproof, Rip-Resistant. 2016 edition. A comprehensive guide to The Valley Place island. Side one shows the entire island of Maui on a detailed dramatic relief map. Hypsometric tinting employs colors to visualize land heights and water depths. Guide text describes outdoor recreation opportunities, golf courses, points of interest and more. Side two has close-ups of Lahaina to Kapalua, Kahului & Airport Area, Maalaea to Makena and Lahaina Town. 14" x 21" folded to a handy 4" x 7", printed on waterproof rip-resistant synthetic material. Updated to reflect 2018 lava flows. Side one is a beautiful shaded relief map of Hawaii, the Big Island. Shows paved roads, dirt roads, trails, resorts/hotels, points of interest. Includes an extensive list of places where to dive, hike, kayak, surf and bike ride. Side two shows close-ups of Kona & Kohala Coast, including a zoom-in on Pu'uhonua o Honaunau National Historical Park (otherwise known as City of Refuge ); Kailua-Kona to Keauhou, plus Kailua Kona Town; the Hilo Area plus downtown Hilo; and Kilauea Volcano in Hawaii Volcanoes National Park. Each of these close-ups is full of descriptive text, so this really is a guidebook and map in one convenient package. Printed on durable waterproof material. 14" x 21" folded to a pocket-size 4" x 7". Rand McNally's folded map for Hawaii is a must-have for anyone traveling in or through the state, offering unbeatable accuracy and reliability at a great price. Our trusted cartography shows all U.S., state, and county highways and much more. Measures 9.0" x 4.125" and folds out to 25.5" x 36.75"
There is perhaps no better place to witness the awesome volcanic activity of our planet than Hawaii Volcanoes National Park. The park was created to preserve the natural setting of Kilauea, one of the world's most active volcanoes, and Mauna Loa, the world's most massive subaerial volcano. The park is also refuge for many native plants and animals. National Geographic's Trails Illustrated map of Hawaii Volcanoes National Park combines unmatched detail with helpful information to offer an invaluable tool for making the most of your visit to this extraordinary landscape. Created in partnership with local land management agencies, this expertly researched map features key areas of interest including Makaopuhi Crater, Napau Crater, Chain of Craters Road, Kapapala, and Pu'u Loa. The print version of this map also includes a detailed inset of Kilauea Caldera. Designed with a wide range of visitors in mind, this map features detailed and easy to read trails that are clearly marked according to use and include mileage between intersections. A handy day hike chart with length, time, and descriptions of each hike will help you choose a trail that's right for you. Road types are differentiated as well, so you know if the route you choose is a paved, four-wheel-drive, or high-clearance road. Recreation features and amenities are clearly marked, including campgrounds, trailheads, interpretive trails, picnic areas, scenic overlooks, points of interest, restrooms, lodging, and food services. The map base includes contour lines and elevations for summits. 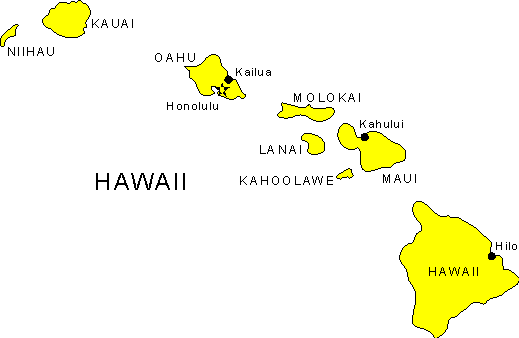 Other features found on this map include: Hawai'i Volcanoes National Park, Island of Hawaii, Kau Desert, Kilauea Crater, Mauna Loa. Features of the ninth edition of this full-color, topographic map of the Big Island include detailed road networks; large-scale inset maps of towns; points of interest (historic, natural, and cultural); hiking trails, parks, and beaches; waterfalls, peaks, and ridges (with altitudes); more than 2,200 place names (index included); and Hawaiian words spelled with diacritical marks. A beautiful travel guide - map to Honolulu, Oahu, precise and beautiful map for the island includes indexes, restaurants, hotels and points of interest; throughout the island. Printed on waterproof durable material.